The zombie genre as we know it today has been in the making since early cinema. While beginning as a minor monster featured in early horror films, the zombie has become a tool that reveals cultural anxieties in the modern world. The modern zombie film takes from many genres, romantic, comedy, thriller, action, and of course horror. So much so, that it has formed its own unique classification. A classification that not only houses World War Z [Forster, M 2013], the blockbuster action, but also Warm Bodies [Levine, J 2013], the romantic comedy. The first feature length zombie film was White Zombie [Halperin, V 1932]. But it was very different to the zombie films we have come to know today. White Zombie was a horror film in which Bela Lugosi, played an evil voodoo master who enslaved people by turning them into zombies. These Zombies provided drone-like labour without any preoccupation with the eating of flesh. Bela Lugosi’s role in the film helped cement zombies as a classic horror film monster. “Traditional zombie movies have no direct antecedent in the written word because of the monsters’ essentially visual in nature; zombies don’t think or speak-they simply act” [Bishop, K.W. 2006]. But the initial articulation of Zombie films didn’t occur until George Romero’s Night of the Living Dead [Romero, G 1968] in 1968. In The Zombie Encyclopedia Pete Dendle calls Romero the “ the Shakespeare of the zombie film” [Dendle, P. 2001]. As he writes and directs his films, he could be called an auteur. Romero uses many horror film conventions, such as the dutch angle to convey unease and the sense that something bad is happening. Shadows and lighting are used to set the mood, and diegetic sound to create tension. But Romero also instituted many conventions that have become hallmarks of the zombie film genre. Alan Edward Green said in The Post 9/11 Aesthetic, Night of the Living Dead [Romero, G 1968] was important “for the horror genre and as the birth of the modern zombie”. According to Green, the modern Zombie film enlists a multitude of other genres conventions to convey meaning, including “science fiction, the thriller, and even melodrama” [Green, A.E., Jr. 2013]. Romero’s conventions have been used and expanded on over the past fifty years. These included conventions such as zombies being the reanimated corpses of humans who have recently died. Zombies move slowly, stumbling towards their victims, and are resistant to pain or injury. Yet they can be killed by injury to the brain or decapitation. As the newscaster in Night of The Living Dead says “Kill the brain and you kill the ghoul”. Unlike the zombies in White Zombie, they are motivated by their desire to eat human flesh. Zombiism is contagious, either through their bite or as a consequence of death. The classical period film was Romero’s sequel to Night of The Living Dead, Dawn of the Dead [Romero, G 1978]. It followed the same conventions, this time from the perspective of the people in charge. The main characters in this film are the people the characters of the last film looked to for help, law enforcement, and the media. It begins in a busy newsroom and then leads into a raid conducted by the police; sound is used to convey chaos in both scenes. Initially, zombie films, as with others produced early on, were largely cult films, with niche audiences. They didn’t see mainstream success until Dawn of the Dead. Dawn of the Dead grossed $55 million worldwide and spawned a number of zombie films [Bishop, K.W. 2009]. In 2004, Edgar Wright directed Shaun of The Dead [Wright, E 2004], the name, a play on Dawn of the Dead [Romero, G 1978]. Shaun of The Dead is a postmodernist parody of the Zombie genre, it is an homage to George Romero’s films, that crosses in to the Comedy genre also. This film employs all the iconography of Romero’s zombie films. Abandoned streets, and buildings, and the focus on communication, or the lack thereof. Telephones, radios or televisions help to convey the isolation felt by the characters. Firearms, and blunt, heavy weapons are used liberally in this film. Even though in this case, working firearms are not readily available, the writers find a way. It is notable that in Romero’s films, the characters never use the term “zombie”. In Shaun of the Dead, they debate using the word as Shaun instructs Ed not to say the “Z word”. In sense not using the “Z word” has become a convention across zombie media. In both Shaun of the Dead [Wright, E 2004] and George Romero’s films there is conflict among the group of survivors by way of the best way to survive. The unlikely hero, the male protagonist, argues over how to proceed with a trope beta-male character who is shown to be cowardly when it counts. Characters of this genre also included a woman who is hysterical or in shock or both, this is evident in some way in all of these films. Also a fumbling fool is usually present and often dies before the end of the film. A common narrative trope is the dwindling members of the surviving group. In both Shaun of the Dead and Dawn of the Dead, by the end of the film the only survivors left are a female and a male. The differences between the films appear when Shaun of The Dead veers into the Comedy genre. The music and sound is used for comedic effect, and the quick cuts are overblown and hyperbolic. Instead of conveying urgency it conveys a comedic and foreshadowing effect. Kim Edwards discusses the comedic moments in Shaun of The Dead in her article Moribundity, Mundanity and Modernity. Shaun’s bleeding pen, and misdirected frights “foreshadow the real blood and scares Shaun is about to face.” [Edwards, Kim. 2008]. In Shaun of the Dead, we never find out what has caused the zombie outbreak. Kim Edwards discusses the mundane, zombie-like existences of the main characters before the outbreak. It wasn’t until this millennium that conventions were modernised with Danny Boyle’s 28 Days Later [Boyle, D 2003]. Differences between classic zombie films and 28 Days Later were starkly apparent. In place of the classic green pallor and slack-jaw gawk, modern zombies began to look more like actual dead humans. An eye colour change adopted in most newer films helped to signify the infected. Boyle also changed the ability of zombies. They now had super human strength and the ability to run, which in turn changed the pace of modern zombie films. Importantly, the modern appropriation relied on hard science fiction, in this case the zombie outbreak was caused by a virus. The zombies were no longer the dead reanimated, but the living infected. Russell noted that the film’s release coincided with the SARS virus panic, a coo for the films producers, and it’s marketing. David Flint wrote in Zombie Holocaust: How the Living Dead Devoured Pop Culture, that while other movie monsters faded the zombie remained relevant. Kyle William Bishop explained that the frequency of zombie movies noticeably increased during periods of social and political unrest, “particularly during wars such as those in Vietnam and Iraq” [Bishop, K.W. 2009]. The films, he says reveal a lot about the cultural anxieties of the time, White Zombie , he says, reveals “imperialist anxieties associated with colonialism and slavery”. While Night of the Living Dead  functioned as an “allegorical condemnation of the atrocities of Vietnam, violent racism, and the opposition to the civil rights movement.”. Dawn of The Dead  lampoons “capitalism and rampant consumerism” [Bishop, K.W. 2009]. Michael Haynes said that as the oral tradition of fairy tales had become less popular it becomes more important for postmodern, Western societies to identify with other mediums. The thematic preoccupation of the Zombie genre tends to be that Humans are far worse than zombies. However, in recent films of the genre this preoccupation has become far more overt. In the television program The Walking Dead, the majority of the conflict and melodrama is derived from other groups of survivors. 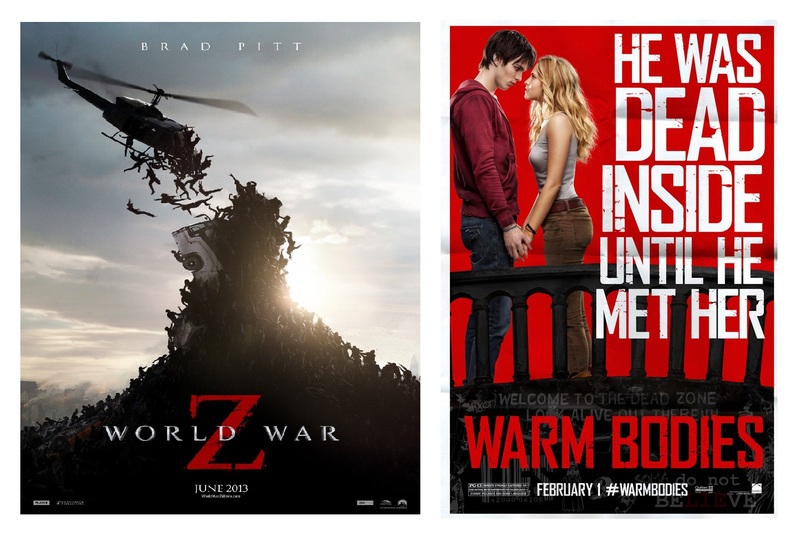 What holds the zombie genre together is the many thematic and narrative conventions. From their inception in White Zombie [Halperin, V 1932], through to their initial articulation and discovery in mainstream cinema thanks to George Romero, zombie films existed as a popular sub genre within the horror genre. But by adopting the conventions of other genres in the modern era, they have expanded their ability to reflect cultural anxieties and developed into its own genre. A genre that is heavily influenced in its narrative and thematic tropes and conventions, ultimately reflecting society’s fears in an apocalyptic setting. Throughout their history, they have always carried with them the primary message that human nature should be feared, even more than zombies. Dendle, P. 2001, The Zombie Movie Encyclopedia. Jefferson, NC: McFarland and Co. Print. Green, A.E., Jr. 2013, The Post-9/11 Aesthetic: Repositioning the Zombie Film in the Horror Genre, University of South Florida. Bishop, K.W. 2009, Dead man still walking: A critical investigation into the rise and fall…and rise of Zombie cinema, The University of Arizona. Clover, C.J. 1992 Men, Women, and Chainsaws: Gender in the Modern Horror Film. New Jersey: Princeton UP, Print. Edwards, Kim. 2008, Moribundity, Mundanity and Modernity: Shaun of the Dead [online]. Screen Education, No. 50, 2008: 99-103. Russell, J. 2005, Book of the Dead: The Complete History of Zombie Cinema. Surrey: FAB Press. Print. Flint, D. 2009 Zombie Holocaust: How the Living Dead Devoured Pop Culture. London: Plexus Publishing, Print. Haynes, M.E., Jr. 2014, Film as Fairy Tale: A Depth Psychological Analysis of the Zombie Film Warm Bodies, Pacifica Graduate Institute.